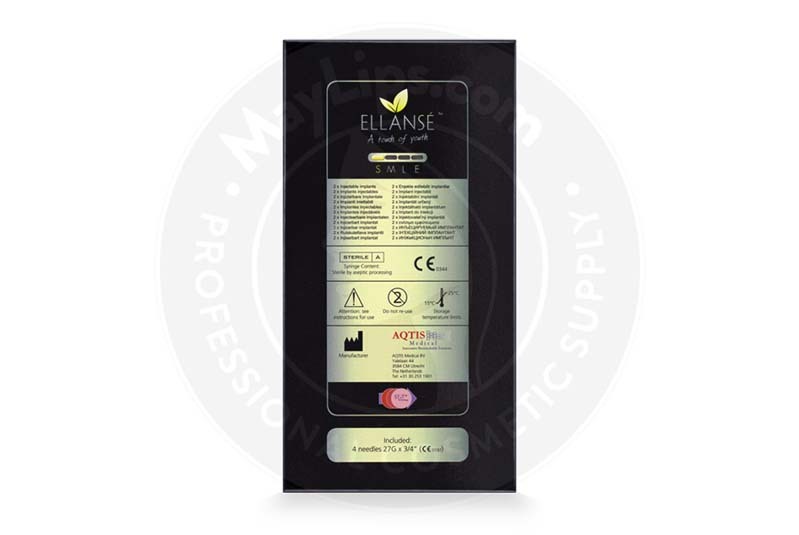 Ellanse S is a sterile, bioresorbable gel made of polycaprolactone microspheres suspended in a gel carrier of glycerin, phosphate buffered saline and carboxymethylcellulose. Manufactured by Aqtis Medical, this non-permanent, latex-free, and non-pyrogenic dermal filler helps to stimulate natural collagen production. Polycaprolactone is a soft medical polymer that is completely bioresorbable, and is frequently used in cosmetic procedures. 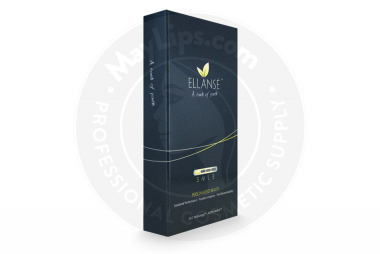 Ellanse S is an award-winning cosmetic filler indicated for the correction of wrinkles and facial folds, as well as for age-related volume loss. It comes in a pack of 2 prefilled 1ml syringes and 4 single-use 27G ¾” needles. Use this filler to help correct facial folds and wrinkles, increase volume, and to encourage collagen production. Use this filler on nasolabial folds, marionette lines, frown lines, and other creases on the face. As well, doctors use this filler to increase volume where it has been lost. Use to define the bridge of the nose, reduce to appearance of scars, and for other facial defects. Ellanse S is suitable for patients over the age of 21 looking to reverse the signs of aging. Collagen helps maintain optimal skin health, and is directly responsible for the strength and elasticity of the skin. Over time, collagen levels are depleted, which leads to the formation of facial folds and wrinkles and volume loss. 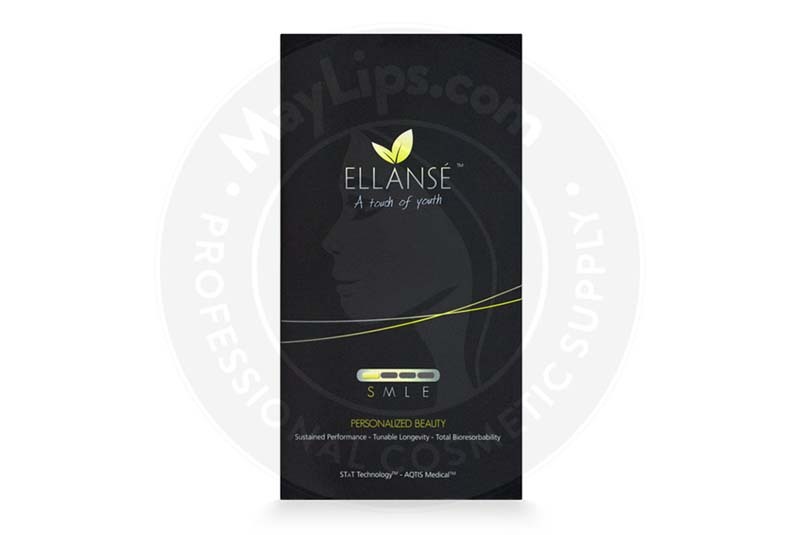 Ellanse S works in a slightly different way than traditional cosmetic fillers, which only address wrinkles, folds, and lines. Thanks to the unique properties of the filler, it does not only corrects folds and wrinkles, but it also stimulates the body’s natural production collagen in order to help the skin heal itself. The microspheres are encapsulated by the body, stimulating collagen production and connective tissue growth. Although it takes a few months for the complete effect, results can be visible immediately after the treatment, leaving your patient’s skin with a youthful and radiant glow. 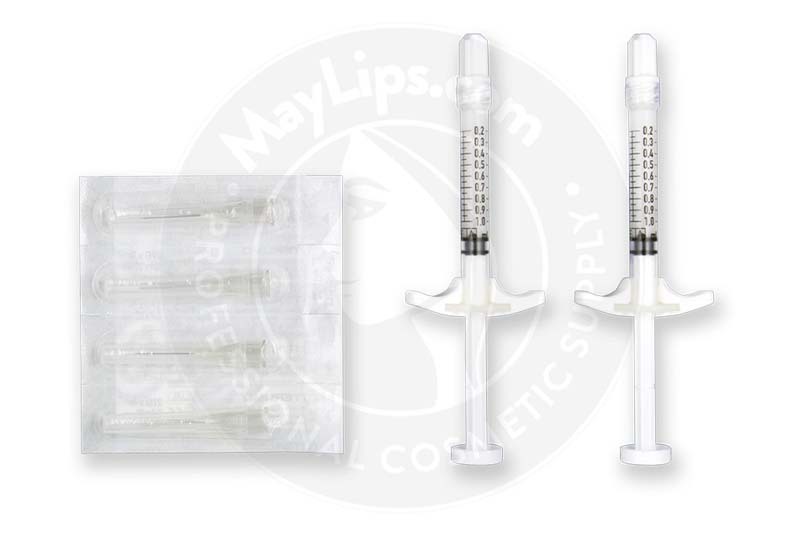 This cosmetic filler is only intended to be administered by a legally certified medical professional. Prior to treatment, discuss your patients expectations, need for an anesthetic, and any relevant medical history. Apply an anesthetic, if desired. Disinfect the treatment area using an appropriate antiseptic. Attach one of the provided 27G ¾” needles to the prefilled syringe. Slowly inject into the mid to deep layer of the skin dermis. The amount needed will depend on the area and defect being treated. Do not overcorrect. The longevity of the results depend mainly on the area of treatment, as well as of your patient’s age and lifestyle. The effects of this dermal filler can last up to a year. You and your patient can discuss the desired effects and duration to determine the best solution for them. Ellanse S is highly effective and safe filler. The synthetic solution is fully bioresorbable, and is used by many doctors. As well, because it is not from animal, human, or bacterial sources, it is extremely well-tolerated by most clients. Some inflammatory responses may occur after using Ellanse S; however, they tend to be very mild, and usually resolve in just a few days following the procedure. Below you can see some of the most common side effects that can occur when using this filler. Some undesirable reactions may be experienced, but they are very rare. To avoid unnecessary complications, only administer this filler if you are a legally licensed medical professional. A full list of side effects, contraindications, and precautions can be found in the product leaflet. 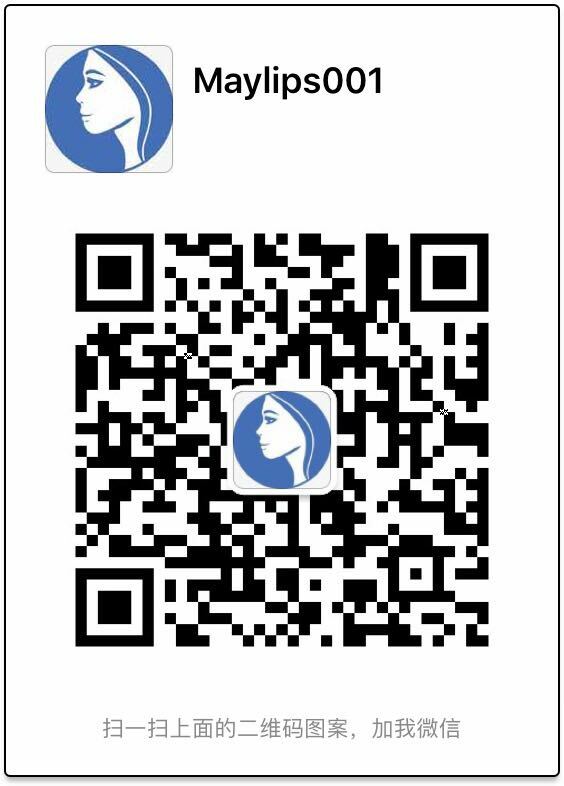 Ellanse S is a synthetic cosmetic filler composed of smooth polycaprolactone microspheres and suspended in a carboxymethylcellulose, phosphate buffered saline and glycerin gel carrier. It is clinically proven to be safe and effective, and has been used for several decades worldwide. Polycaprolactone a soft medical polymer that is completely bioresorbable. The microspheres help to stimulate natural collagen production long after the filler has dissolved into the surrounding tissues.